Every Saturday morning, for 35 years, Soul Train gave America an hour-long celebration of black youth culture. The show’s self-proclaimed reputation as “the hippest trip in America” made Soul Train not only the place to show the latest dance moves, hairstyles, and threads, but also the place to premiere new music. It became an indispensable promotional platform for black musicians in the 1970s, and by the 80s, was responsible for giving groups like Run-DMC their first national exposure. It was a pop cultural pipeline that taught mass audiences how to dance, how to dress, and who to listen to. 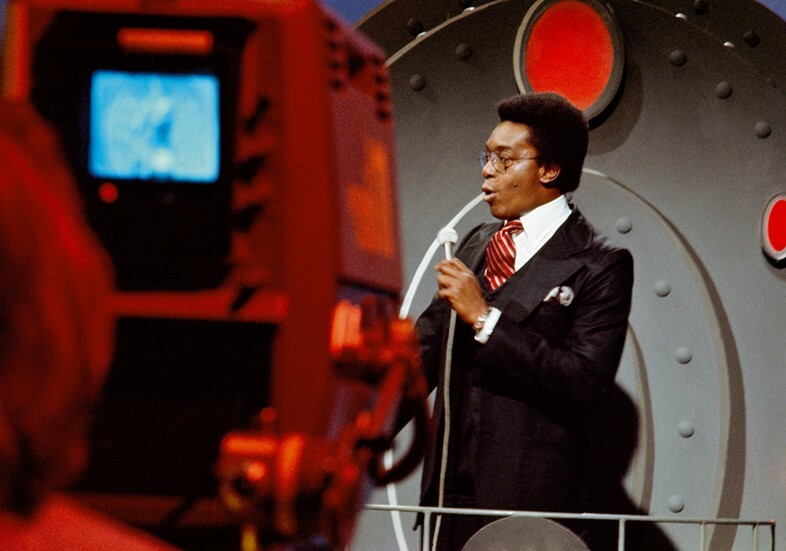 Don Cornelius was the official host, or “conductor”, of Soul Train, and doubled as its executive producer. A Chicago native who came of age during the turbulence of the Civil Rights struggle, Cornelius spent his early 20s reporting on social unrest and meeting his personal heroes, Reverend Jesse Jackson and Martin Luther King, Jr., for local TV station WCIU. For Cornelius, working in television brought into focus the way that racism in the real world was reflected on screen. National television chronically misrepresented black America, either distorting or demeaning their narratives, or omitting them entirely. Biased news stations, particularly in the South, over-reported black crime and under-reported police brutality. Footage of the Civil Rights movement was skewed, making what were often peaceful protests seem like violent upheavals. Scripted comedies and dramas gave African American actors stereotypical or servantile roles. Cornelius’s desire to see not only genuine, but positive, representations of African Americans in media led him to brew up ideas for his own TV show based directly on the ABC network show American Bandstand, a widely popular hour-long segment that showed teenagers dancing to the latest music. Although black artists were increasingly topping the charts, American Bandstand tended to feature white dancers and performers, leading Cornelius to pitch his show, the “American Bandstand of colour”, to WCIU. The network approved, and Soul Train first premiered in 1970 as a local, daily show, making Cornelius one of the first African Americans to have created, owned, and produced their own TV show. Almost overnight, the hour-long adventure “into the exciting world of soul” was a raving success. Cornelius sourced local teens for talent, who lined up outside of the network building every day after school, hoping for the opportunity to dance on-screen. Black Chicago was given a show that didn’t just alleviate a gross lack of representation, but a show whose purpose was commending the breadth of black talent. It quickly amassed the necessary backing to make it a national programme, and Soul Train moved its headquarters to Los Angeles. It premiered nationally in 1971 with a bold and bright new set befitting of its new location, and the staple line “welcome aboard, you’re right on time for a beautiful trip on the Soul Train”. 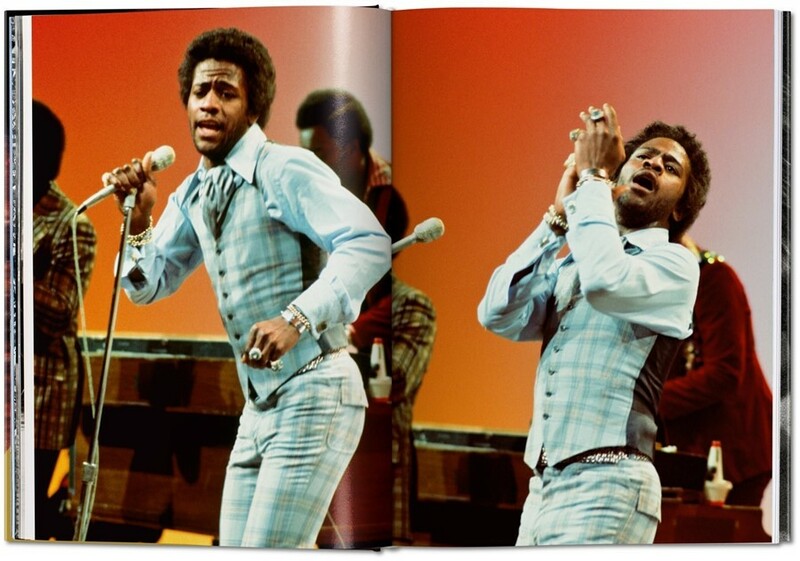 Soon, musicians were the ones asking to be on Soul Train, not the other way around. Aretha Franklin performed at the peak of her career, Stevie Wonder improvised a new song on air, and the Jackson 5 were some of show’s most frequent guests. In its early days, performers lip-synced to their hits during tapings, but Cornelius recognised that they needed to integrate live performances to stay relevant. Barry White once performed with a 40-person orchestra, Al Green delivered a jaw dropping performance with a broken arm, and James Brown joined the floor dancers in a bedazzled purple jumpsuit. 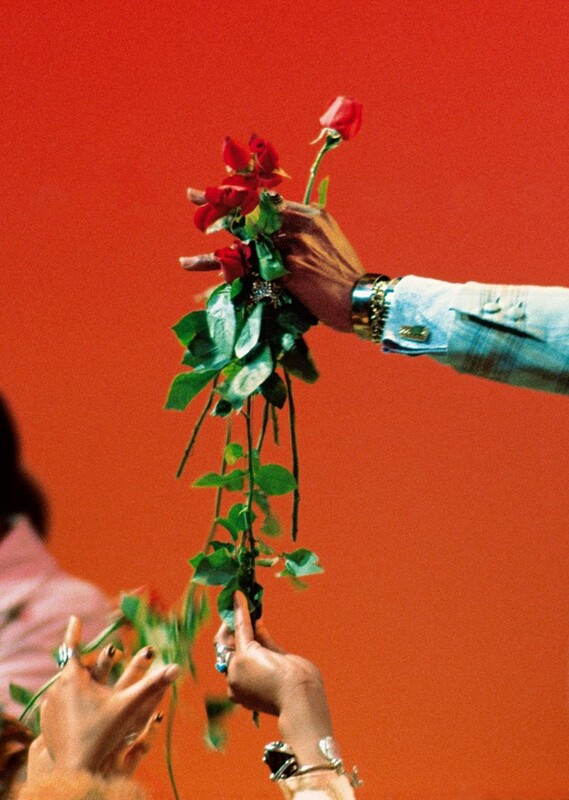 Later in the show’s life, Cornelius even made some exceptions for non-black artists, allowing headliners “with soul”, like David Bowie and Elton John, to grace Soul Train’s stages. Cornelius assembled a team of black talent both on and off camera, ensuring opportunities were presented to people of colour from every angle of production. Talent booker Pam Brown held auditions in recreational centres across LA and remembers Cornelius being shocked by the “outrageous” California dance styles. Cornelius had a sharp eye and quickly assembled a team of “personality” dancers who were particularly memorable. While being a Soul Train dancer looked and sounded glamorous, dancers who made it into the show’s risers were subject to a gruelling taping schedule, filming an entire month’s worth of episodes in just one weekend, taping two shows on Saturday and another two on Sunday. Dancers came equipped with outfit changes and impressive amounts of stamina; they weren’t paid unless they performed with an artist, a shortcoming that feels incongruous with the mission of the show. The Soul Train line segment, which saw dancers stand opposite one another in two lines, creating a channel in the middle that the couples then danced down, wasn’t officially implemented until the show’s second season, but it immediately became the highlight. While dancers often fought for camera time during group floor dances, the line awarded each of them individualised attention and became the show’s most iconic component. Soul Train’s most memorable dancers utilised their time down the line to the best of their ability, often bringing props and doing wild, acrobatic moves to command the audience’s attention. Daniel found an in with the show from another of its most notable dancers, Tyrone Proctor, who he met while sneaking into Maverick’s Flat, the unofficial nightclub for the Soul Train cast. With Proctor’s seal of approval, Daniel transitioned from sneaking into the club to sneaking onto the Soul Train stage, where he and his partner Jody Watley quickly stole the show. Daniel and Jody gartered attention for their fashion, as much as their moves, and became style icons of the decade. The fashion is one of the show’s most captivating qualities, and increasingly so with age. “When I’m looking back at the tapings, what really stands out to me are the colours,” Daniel says. “I miss those knit pants and the tweed shirts and those crazy patterns printed on them. I miss the striped socks and platform shoes. The clothes were so comfortable, colourful, and expressive. The fashion really shows the era, and when you see that era, you know it’s Soul Train – and vice versa.” Dashikis, bell bottoms, platforms, tikis, medallions: it was cutting edge Soul Train dancers who brought these new trends directly into homes across the country. As ratings soared higher than ever, 70s America was in turmoil. The battle over school segregation was raging, and black soldiers were returning from Vietnam only to find inner-city poverty on the rise and fewer job opportunities than before. While Soul Train’s content wasn’t explicitly political, it addressed the struggles of its time with messages of positivity. Cornelius found creative ways to incorporate black pride into the weekly segments: the Soul Train scramble board interlude, for example, saw a dance couple challenged to unscramble letters and spell out the name of legendary black icons, like Phillis Wheatley, Thurgood Marshall, and Harriet Tubman. Young political leaders like Al Sharpton knew the show was the most effective way to reach young black America and made occasional appearances and motivational speeches. Soul Train also secured sponsorships from black-owned Johnson hair products, namely Afro Sheen, airing commercials between Soul Train segments and directly addressing black consumers. The products, like every other aspect of the show, reinforced the idea that black is beautiful. Afro Sheen bolstered the movement sweeping the country, which Soul Train helped popularise, of wearing hair naturally – a decision which in the 70s was heralded as a kind of political statement, an outward expression of pride and dignity and a rejection of oppressive white beauty standards. But by the mid 1980s, edgier competitors like BET and MTV appeared on the scene, focusing on the latest trend in music – hip hop. Cornelius recognised he could no longer serve as an ambassador of contemporary black culture in the dawn of a new age, and the beloved host stepped down in 1993, wishing his audiences in parting “love, peace, and soul” for a final time. The show continued for another 13 years, with different conductors, who did their best to fill Cornelius’s shoes.